My latest craze and adventure has been this little machine... 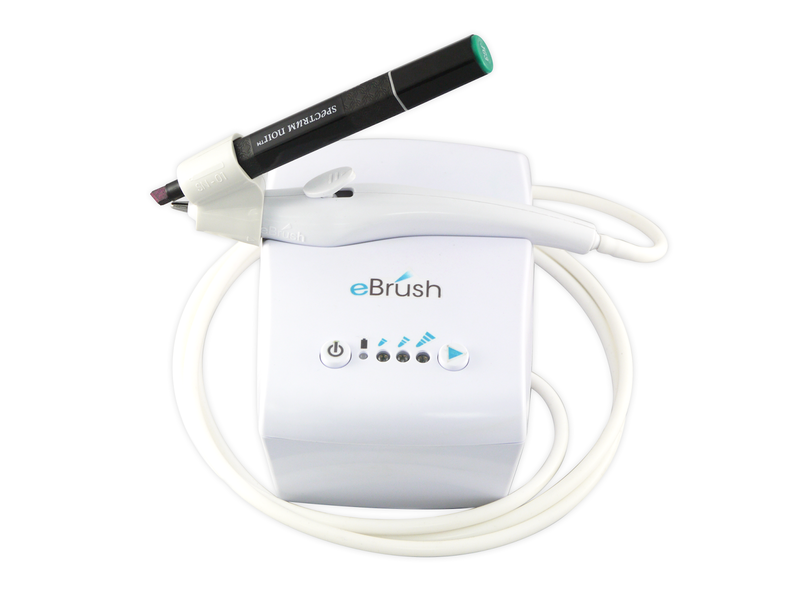 It's called the eBrush and is made by Craftwell. It is a airbrush system that utilizes most craft markers on the market. Most... is the key word there. The system comes with 6 adapters. These adapters work with the following markers: Tombow, Spectrum Noir, Prismacolor, Sharpie Fine, Copic Sketch, and Chartpak. A lot of these markers are very pricey. And, if you are like me and don't have bottomless pocket book you might wanna pay close attention... because I've hacked my eBrush!! Yes, I don't own most of the brands mentioned above... even with a craft store coupon it is still way out of my priec range. Copics tend to run about $8 a pen. That's right, A PEN!! And a set of 6 can easily set you back $50... YIKES!! Let's not forget that copics come in over 300 colors! Um, yeah... how about NOOOOO! I maybe have a handful of Copics (if even that) and I bought them about 10 yrs ago. hey, don't judge, they still work! I do, however, have a pack of sharpies. Walmart had a pack of 12 for $5.97. Now that is an easier bullet to bite. I also have in my possession, markers that I thought were Tombow... Well, it turned out they weren't. They are Marvy Uchida's Le Plume II. Which coincidentally looks a lot like the Tombows... except they are thinner. You know those foam/ cushion sleeves/ grips ( whatever you wanna call them)... you know those thingies you slip on your pencils and pens to cushion your fingers... Yeah, those things. Well, it turns out they make awesome adapters for your adapters!! 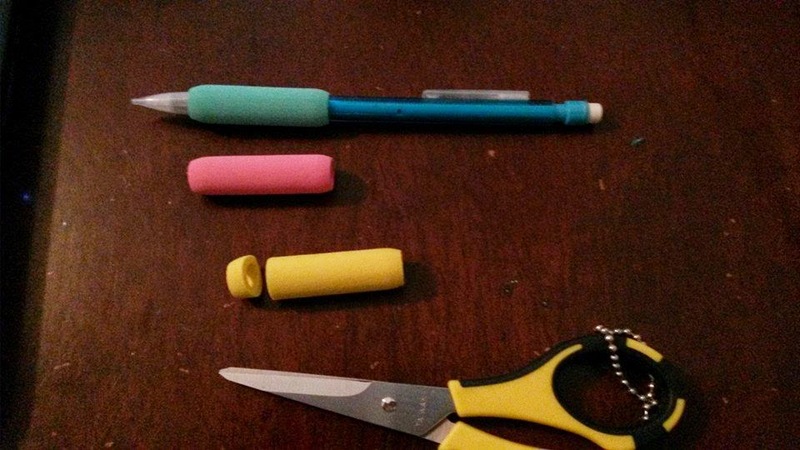 I found some on my pencils I had for years... removed them from the pencils. Then I cut them into about 1/4" pieces. You can cut several from one sleeve. As you can see I can get about 5 or 6 from this one. I slipped it onto my marker. Then slid it into the adapter. For the Marvy's I used the Sharpie adapter. 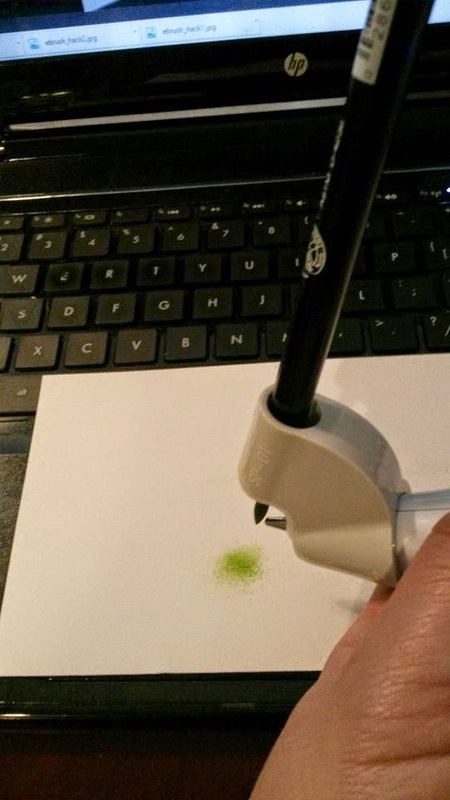 Adjust as needed and test the airflow over the marker tip. While the air is activated, adjust the position till the ink is released in a continuously smooth spray. It should look like a fine mist. That is what's called the "SWEET SPOT". 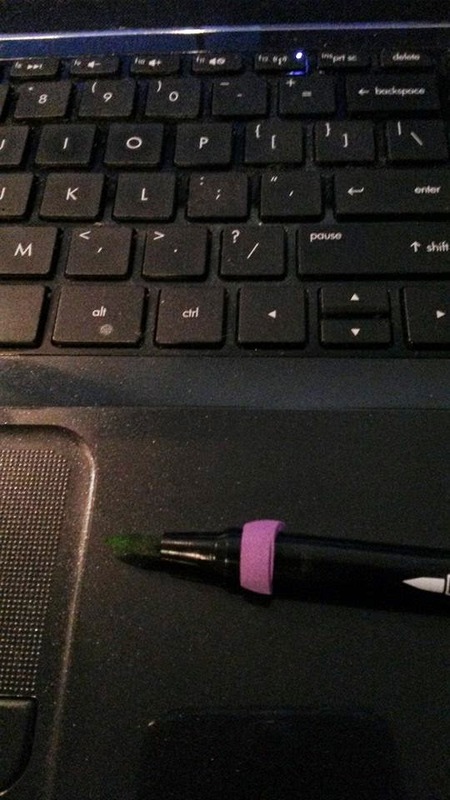 You may have to move your marker further in or further out of the adapter to find it. Still can't find it? Try tilting the tip up or down. 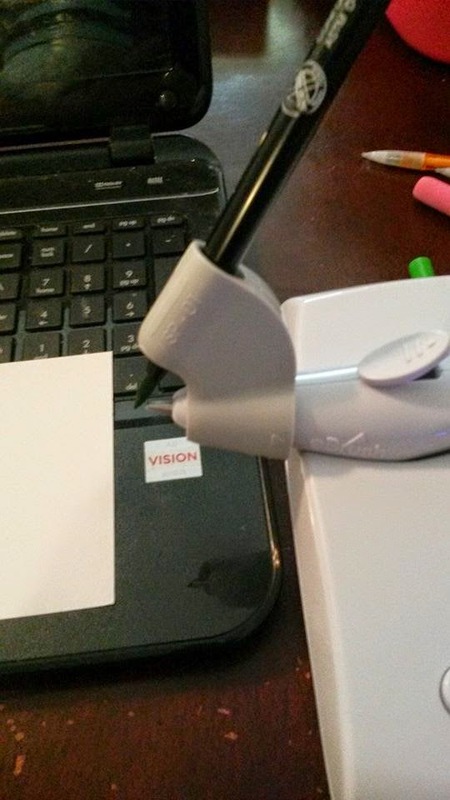 Try the wonderful and inexpensive alternative to buying pricey markers... your wallet may thank you for it! Stay tuned for upcoming projects made with the eBrush... I'm gonna be trying out for their upcoming eBrush design team... Wish me LUCK! !